Eating foods that provide a nutritional balance is one of the few areas that all weight loss professionals agree is essential to a successful weight loss or weight management regimen. Finding the time to prepare a single healthy meal each day, let alone three to six each day, is one of the areas that many of our patients agree is difficult to accomplish. Innovative Medical Weight Loss has taken steps to address the need for healthy meals, the difficulty in finding time to prepare them, and the off-putting cost often associated with eating healthy. There’s no need to deprive yourself of delicious, tasty snacks as you proceed through your customized weight loss program. Our weight loss counselors encourage eating throughout the day in order to stimulate your metabolism. Achieving this in a healthy manner is made easier when our high-protein snacks and drinks are incorporated into your daily diet. All of these treats are intended to complement our programs, negating any feeling of guilt that may cross your mind. We have also selected meals created to be convenient, healthy, delicious and able to be prepared in minutes. 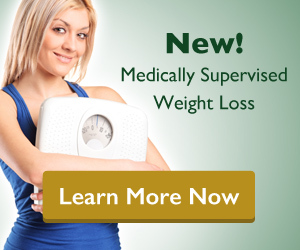 All of these meals are designed to complement other components of your customized weight loss plan. Incorporating these meals, smoothies and snacks into your weight loss program helps to take the guesswork from your what to eat. Zero Deprivation – You won’t go hungry, feeling satisfied and full. Minimal Preparation Time – All of our foods were created with your convenience in mind. Variety – No need to limit yourself to the same meals and snacks day in and day out. Save Money – Many of our meals actually cost less than fast food. Several snacks start at only $2.00 per serving. No Fear Of Cheating – If you have a sweet tooth, you won’t have to worry about straying off-course. Our snacks are not intended to be incorporated in isolation, but rather to satisfy your urges while keeping you on your program. If you have any questions regarding our Weight Loss Foods that have not been addressed on this page, please Ask The Doctor by submitting your question on the form.